Singapore. September 9, 2013 - NCR Corporation today launched NCR APTRA™ Interactive Teller, a new ATM-based technology that makes everyday banking transactions easier for customers by allowing them to complete more than 95 percent of typical branch transactions at the ATM assisted by a live remote teller, well beyond operating branch hours. NCR APTRA Interactive Teller will help banks in South East Asia to take a new approach to grow their geographic footprint and focus on transforming their branch location into a more effective service and sales environment. It will allow banks to offer after-hours full teller services in areas that are not served by branches, while taking advantage of the advanced features of NCR ATMs such as intelligent deposit, bill pay, new account opening and loan initiations. Beyond talking to a teller, Interactive Teller offers more services than can be conducted on an ATM or other self-service devices. For instance, customers can perform secure transactions without using a traditional ATM card and, like branch tellers, remote tellers can provide customers access to cash in their accounts in amounts over the standard ATM daily cash withdrawal limits. 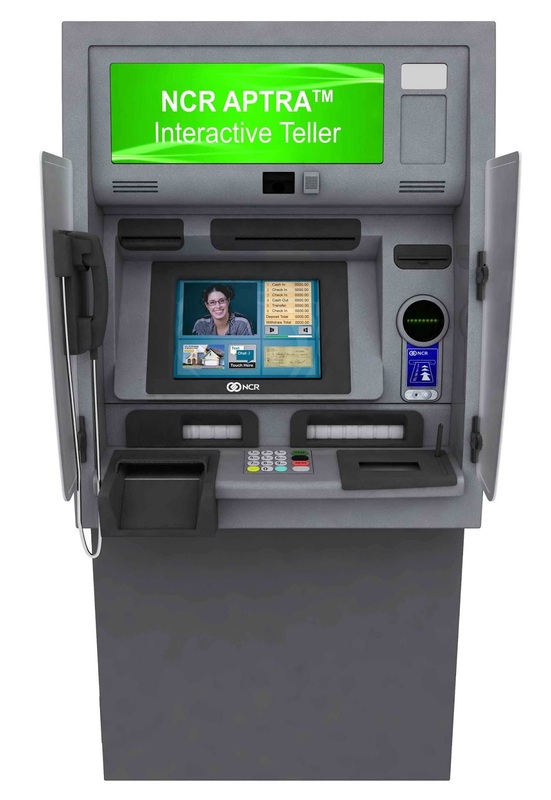 An internal study done by NCR shows that the implementation of NCR’s interactive video technology can result in a 33 percent reduction in transaction time and 40 percent savings for the cost-per-transaction, as compared with a branch teller transaction. “Bank branches remain an important selling tool and revenue driver for financial institutions, but they are costly and make it difficult for banks to expand their footprint. NCR APTRA Interactive Teller is a solution to the challenges around expansion and provision of banking services to the unbanked populations in rural areas, helping banks to augment their branch footprint, deliver teller services to underserved areas and provide their branch promises,” said Stelios Fragkos, vice president global sales, Financial Services, NCR Corporation. “NCR is committed to continue investing in Indonesia with innovative solutions that address key challenges faced by banks today. Our dedicated sales team backed by our extensive partner network comprising ASABA, Multipolar and SMS reinforces our commitment as we strive to serve our customers better,” said Fragkos. NCR showcased a host of innovative banking technologies at the “NCR Financial Innovation” road show in Jakarta last week including NCR APTRA OptiCash - a cash cost optimization application that balances demand for currency at each cash point against operational expenses. By optimizing all competing float and transportation costs daily, OptiCash enables banks to generate huge annual savings from their existing ATM and branch networks, and prevent cash outages and apply cash only when and where needed. By applying sophisticated mathematics, OptiCash drives higher availability with less cash across the entire currency supply chain. Directly related to the cash management intelligence of OptiCash, another innovative branch banking technology on display was the NCR Cash Recycler – which automates the acceptance, authentication and validation of bank notes to improve productivity of the teller’s role; allowing them to speed up transactions, reduce wait times and improve customer interactions. NCR also showcased its suite of innovative software and service management solutions at the show including NCR APTRA eMarketing - that enables targeted email marketing messages, multi-channel marketing messages, campaigns on demand to drive incremental revenue; NCR APTRA Vision – a multi-vendor self-service ATM management system that puts operational performance into context in relation to consumer experience; INETCO Insight - a highly scalable self-service management and monitoring solution amongst others and NCR Predictive Services, a unique monitoring solution that predicts ATM hardware failures before they occur so as to maximize ATM uptime and provide a better customer experience.